As in last month's issue, Conan The Barbarian #20 proves to be a lackluster affair. The best moments are the quiet ones between Belit and Conan at the start of the issue. 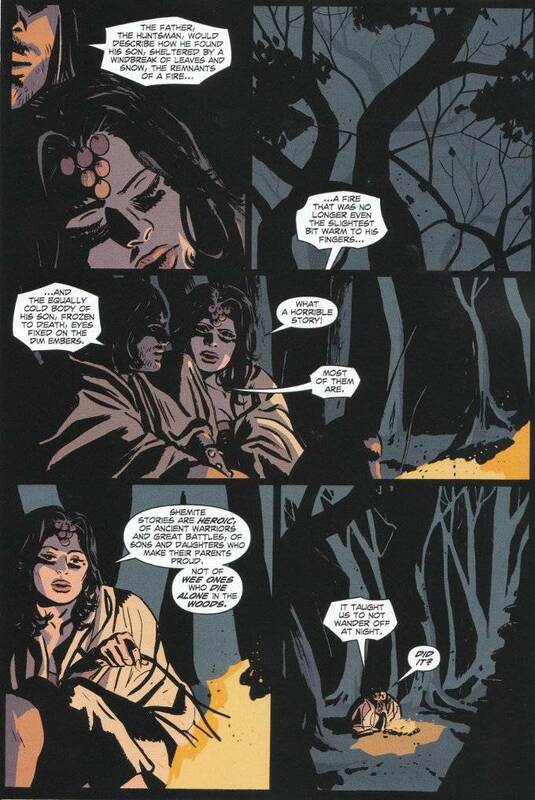 Brian Wood has done a fine job of developing the relationship that Robert E. Howard - by virtue of the format he had to write in - was barely able to hint at. The love between the two warrior thieves is obvious but not perfect. We see this when Belit fails to find amusement in the Cimmerian children's tale Conan tells when she asks for a story to ease her worried mind. 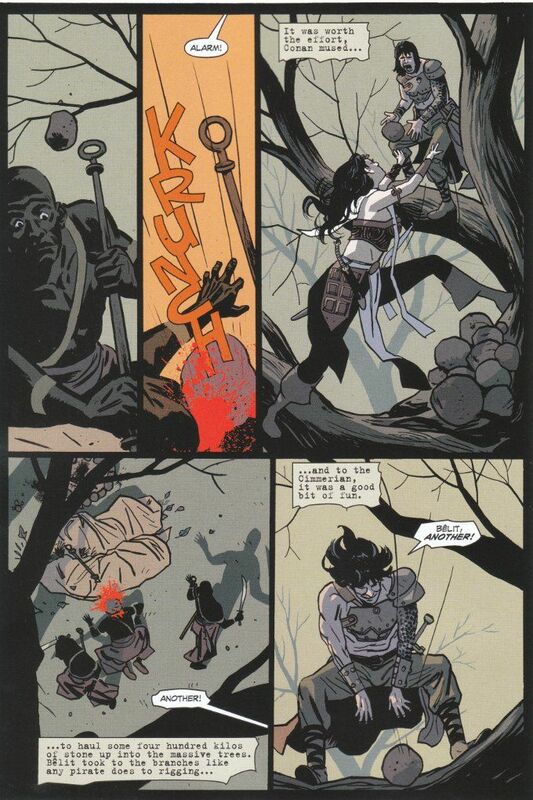 True to form, she notes with dark sarcasm - given their current problem with being hunted in a dark forest by crazed cultists - that Conan seems to have failed to learn the lesson of his own story. It is once we move past these quiet moments and into the action of the issue that things fall apart. Paul Azaceta is a good penciler but his work seems too stiff and posed for a high-action series like Conan. Dave Stewart's dull palette doesn't help matters, with most of the colors being muted greys and off-whites. Wood's story almost makes this worth reading but the book still struggles against its' own static artwork As it is, this series can only be tolerated by the most devout of sword-and-sorcery readers. Go read Red Sonja if you seek gigantic mirth to go with your gigantic melancholies.